A prosthodontist is a dentist who has gone through three extra years of training in the field of restorative dentistry. We specialize in anything that must be replaced in your mouth. We are conveniently located in the Southlands Mall, near Smoky HIll Road and E470. Our friendly, professional, people-first staff will take care of you throughout your visit. 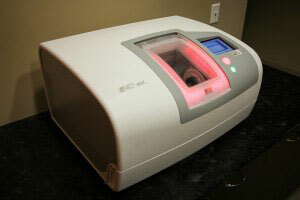 We stay ahead of all dental technological advances to make sure we are providing the highest quality of care possible. Our patients’ needs always come first. 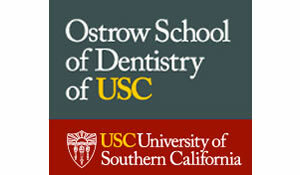 I have enjoyed working with Dr. Chen on dental rehabilitations for several years. 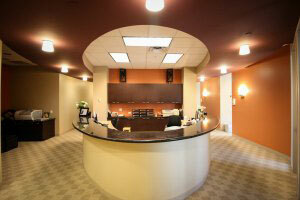 Aside from being a compassionate and warm-hearted individual, he also takes pride in the dental care that he provides. Dr. Chen focuses on details that create natural and esthetic teeth and smiles that are ART and not just dentistry. Dr. Chen truly took the time to conduct a complete dental examination, which showed me that he is dedicated to his professional and compassionate with his patients. I absolutely recommend making an appointment to come in and see him. Thanks Dr. Chen! Welcome to Our Aurora CO Practice! Something our patients appreciate when they visit Uptown Dentistry and Prosthodontics is the warm, welcoming atmosphere of our practice. Our experienced, friendly staff loves the work they do, and we believe it shows in everything we do and the care we provide for our patients. We are looking forward to meeting you and your family. Whether you are overdue for a dental examination or cleaning, or if you are experiencing a dental issue, we want to hear from you. 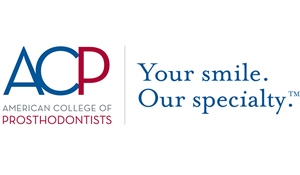 Call Uptown Comprehensive Dentistry and Prosthodontics today to make an appointment! Do you have additional questions about the types of services we provide at Uptown Comprehensive Dentistry and Prosthodontics? 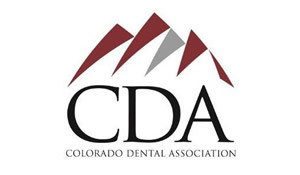 Please take a look at the questions below, or simply give our Aurora, CO dental office a call. We would love to help! What types of dental services do you offer? What if I have anxiety about visiting the dentist? Do you offer cosmetic dentistry? Do you do the dental implant surgery? Am I a good candidate for dental implant surgery? I want to arrange my first appointment. How do I get started? 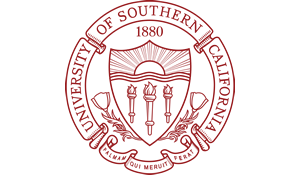 Dr. John Chen is a prosthodontist, which is a specialist who went through three years of extra training after dental school. As a prosthodontist, Dr. Chen specializes in anything that needs to be replaced in the mouth. From routine treatment such as dental crowns and bridges, to full mouth rehabilitation involving dental implants. Dr. Chen is both a general dentist and prosthodontist, so you and your family can see him for all of your dental needs. 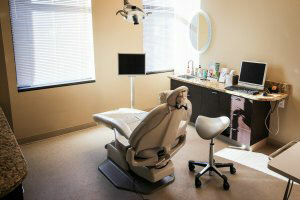 We also provide emergency services, general dentistry, and cosmetic dentistry. Whether you need a routine examination and cleaning, or if you are dealing with missing or broken teeth—or anything in between—our Aurora, CO dental practice can help. Yes! We have plenty of room in our dental office schedule to accept patients from the Aurora, CO area as well as the Denver metro district. Our friendly team looks forward to meeting your entire family. Patient education is critical to the way our practice is run. Dr. Chen and the entire staff are happy to go over recommendations and costs so you know exactly what to expect. There is nothing confusing about making educated decisions! Our mission to share information, treat patients like family, be professional in all we do, and create long-lasting restorations. Basically, we want our patients to be healthy while being treated the way we would like to be treated. At Uptown Comprehensive Dentistry and Prosthodontics, we stay current with the latest in dental technology at our South Aurora dental practice. Not only does enable Dr. Chen to make better, earlier, and more accurate diagnoses, but it goes a long way in making our patients’ visits as comfortable as possible. 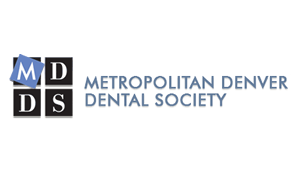 Our modern office includes E4D technology for same-day dental crowns, and intraoral camera, digital radiographs, and panoramic x-rays, as well as nitrous oxide and electric handpieces. Teeth whitening. As we get older, our teeth tend to take on a yellowish tinge. Lifestyle habits, such as smoking and tobacco products, and the foods we eat and the beverages we drink, can also turn a white smile into a dull one. Teeth whitening will take years off your appearance and can provide a boost to your self-confidence. Tooth-colored fillings. Almost everyone has at least one cavity in their lives, but with tooth-colored fillings, no one will be any the wiser. Unlike the cark-colored amalgam fillings of yesteryear, today’s tooth-colored fillings blend in seamlessly with the tooth it is restoring. Porcelain veneers. These thin tooth covers have a translucency and shine to them that mimics the look of your natural teeth—only better because they can hide dental problems. If you don’t care for the gaps, chips, cracks, misalignment, or discoloration of your teeth, cover it up with porcelain veneers. In just a couple appointments to our South Aurora, CO dental office, you can have a perfectly straight, even, white smile. Dr. Chen is pleased to work with patients to provide dental implants for tooth replacement at our Aurora, CO dental office. This reliable, secure option to replace one missing tooth or a mouthful offers patients the form and function that is closest to their natural teeth. Although Dr. Chen is trained for implant surgery, he has chosen not to place dental implants. Despite his additional training as a prosthodontist, he believes that the extra three to six years of schooling completed by periodontists and oral surgeons make them better qualified to perform this procedure. Dr. Chen wants only the highest-quality results for his patients, so he has established relationships with great dental surgeons in the Aurora, CO area. His patients will be in good hands until they return to Dr. Chen for the prosthetic portion of the implant—the dental crown—to be placed. If you are considering dental implants to replace one or more missing teeth, you should know that almost anyone who has sufficient periodontal bone is a candidate for dental implants. The best way to find out if implants are a good option for you is to come into our office for a consultation. Dr. Chen will examine you to find out if dental implants are appropriate. Even if you are not currently a candidate, procedures are available to improve your oral health so you could be a candidate in the future. Contact our South Aurora dentist office today if you have any more questions. Yes. Dr. Chen believes that All-on-4 is a good way for his denture-wearing Aurora, CO patients to get better stability. All-on-4 combines the best of the two most popular tooth replacement options: dental implants and dentures. With All-on-4, patients can have their denture attached to four dental implants placed in the mouth. This is advantageous for patients who are missing a complete upper or lower, so they do not have to have a dental implant placed for each tooth. This option is also more economical for patients because there are fewer implants to place into the jawbone. Unlike with traditional dentures, the implants placed into the jawbone will help to preserve bone density. Traditional dentures do nothing to protect the jawbone, so denture-wearers tend to get a sunken-in look to their face over the years that can alter their appearance and make them appear older. Just give us a call to make an appointment. Whether you are seeing us for a routine examination and cleaning, or if you are interested in dental implants or cosmetic dentistry, we can help you achieve a smile you are happy about. Call Uptown Comprehensive Dentistry and Prosthodontics. 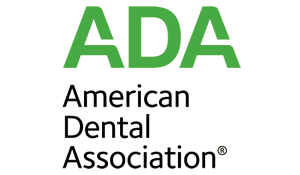 We look forward to providing you with the best in quality dental care in South Aurora, CO.